We build industry partnerships with companies including Domino’s®, Lactaid®, McDonald’s®, Quaker®, Pizza Hut® and Taco Bell®, to incorporate more dairy into menus and promote dairy as a whole. We’re active in schools, introducing kids to the importance of dairy and helping them build healthy habits early on. Dairy Dollars for Schools offers grants to schools that organize dairy-related nutrition programs. Fuel Up to Play 60, a collaboration with the NFL, is the largest children’s health and wellness program in schools. The program empowers students to fuel up with healthy foods and get at least 60 minutes of exercise a day. BUILT by Nature encourages coaches of young athletes to spread the word about the power of chocolate milk to fuel workouts and winning teams. Our Health and Wellness Advisory Council is made up of physicians, dieticians and school district superintendents who make appearances at events, on TV shows and more, to provide insight on dairy science, child nutrition, dairy’s health benefits and the dairy farm industry. The Dairy Discovery Zone (DDZ) mobile exhibition travels to local events such as state fairs, rodeos and more to tell the story of milk from the farm to the fridge. Kids and adults experience colorful and interactive edutainment about dairy cows, the history of milk, the benefits of consuming dairy, and how to incorporate three daily servings of dairy into a balanced diet. June Dairy Month is an annual dairy promotion, when we pull out all the stops across web, social media and beyond to spread the word about dairy’s natural goodness using contests, coupons, giveaways and more. 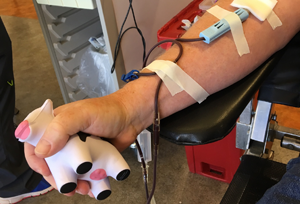 Passion for Pints is a special blood drive during June Dairy Month. Farmers partner with local blood centers, grocery stores and milk processors to provide free dairy gifts to every person who donates blood. This showcases farmers’ community commitment and encourages donors to choose milk instead of the typical sugary drinks. DairyDiscoveryZone.com connects parents and kids to dairy by giving them down-to-earth nutrition information, fun crafts, and a robust blog featuring continually refreshed dairy-related content – not to mention plenty of delicious dairy recipes, coupons and exclusive offers. Discover Dairy, our monthly email newsletter, delivers fresh, seasonal content from the blog directly to consumers' inboxes, including coupons, recipes, articles, healthy living tips and a farm family spotlight. 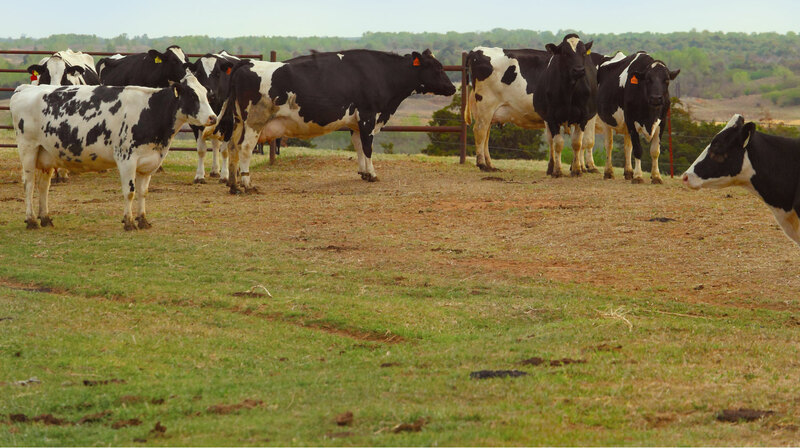 Our Land, Our Cows, Our Passion℠ shows consumers what farm life and cow care are really like through a variety of materials, including videos filmed on dairy farms. The program helps consumers understand the hard work farmers and their families put in to bring them a safe and healthy product. Social Media enables Dairy MAX to reach consumers where they already spend time online. 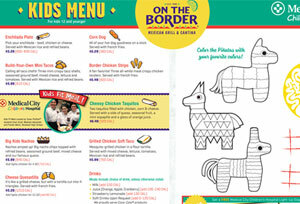 We actively post recipes, coupons and fun facts across Facebook, Twitter, Pinterest, YouTube and Instagram.